Rachel on the podium after a great race! We arrived early at the track for our races; mine was first at 9am and Rachel’s was second-to-last at 1:30pm. It was chilly to start, but the sky was clear so we were thankful for a nicer day than last week at Fruitland’s. After dressing up and registering, we got on the track to warm up but less than half way through the first practice lap, Rachel got a flat tire and became a bit frazzled. It wasn’t the best start to the day, but it was all uphill from there. 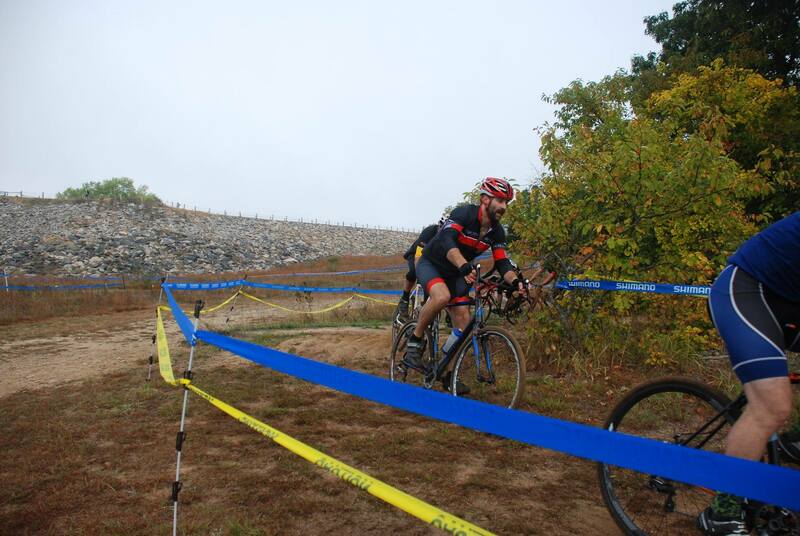 Since my last race, I had been looking forward to Fruitland’s Cup of Cyclocross so that I could (hopefully) continue to improve my results. On the other hand, Rachel was VERY nervous leading up to this event, since it was her first. She was worried I would be disappointed if she did poorly, but I did my best to assure her that I just hoped she would have fun for her first race, so that she would want to do more in the future. To make a long story short – she certainly didn’t disappoint and we are now both looking forward to our next race, Cheshire Cross! 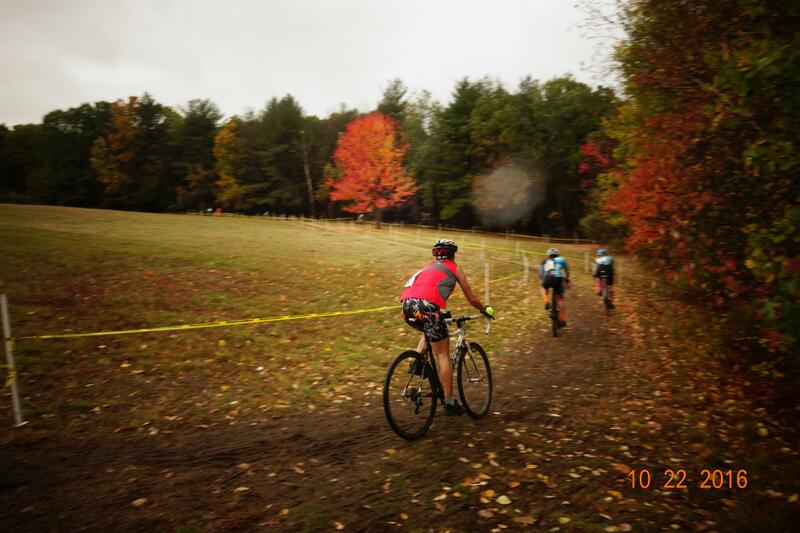 For my second cyclocross race, I joined my friend Andy again, at Mansfield Hollow Cross in Mansfield, CT. Coming from Boston, I arrived a little late and had barely enough time to register, ride one practice lap, and make it to the start before the Cat 4/5 race started. That’s me! Thank you, unknown photographer! I initially regretted my decision to wear fingerless gloves because of the cold but it didn’t take long to warm up. Just kidding, it’s still biking; it’s just a new form of his favorite activity. As I’ve learned over these past six years, anytime there is a new form of biking, a new type of bike must be purchased. Accordingly, Chris bought a cyclocross bicycle from his friend, Andy, a few months ago. 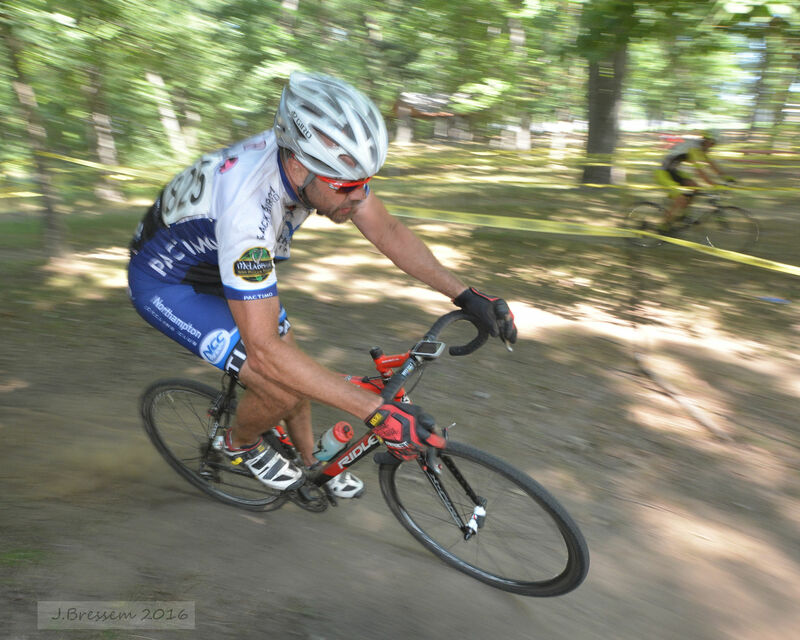 Photo of Andy during the race, thanks J.Bressem!